Gifting your gals is an important way to thank them for all of their help leading up to you your big day. 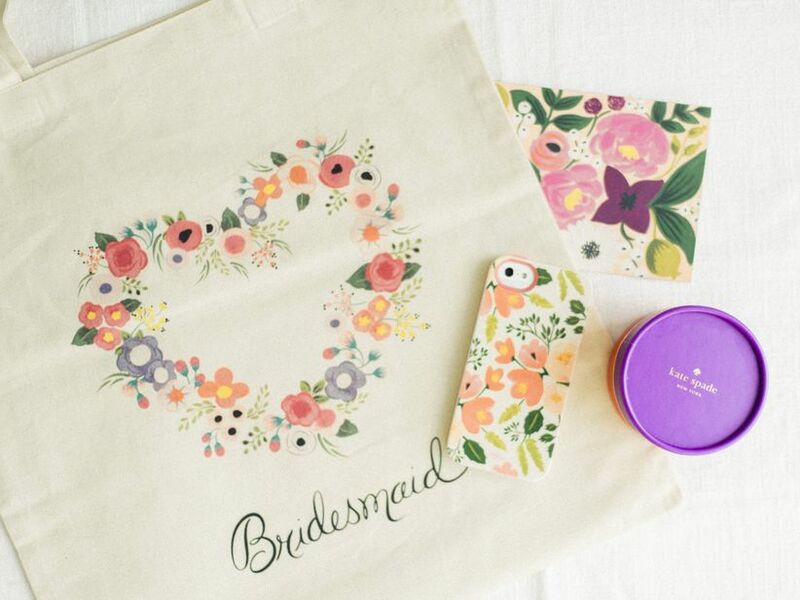 Here's our guide to making sure you follow good bridesmaid gift etiquette. 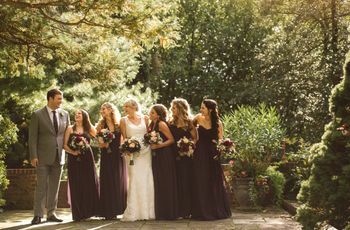 Your bridesmaids will be more than pretty faces on your wedding day—they’ll be your rocks during the wedding planning process. From letting you vent when the stress becomes too much, to helping you pick your dress, decor and more, once all is said and done, you’ll wonder how you got down the aisle without your bride tribe. That’s why bridesmaid gift etiquette is so important—ensuring that you properly thank your ladies for helping you before and during your big day. I get it—you have an entire wedding to plan. It may be tempting to push something as minor as bridesmaid gifts off to the last minute, but you’ll probably regret it if you do, because your bridesmaids will be able to tell if you didn’t put in the time and effort this task deserves. Instead of shopping for your bridesmaids gifts all at once (and all at the last minute), make a plan to buy them one by one throughout the length of your wedding planning timeline. 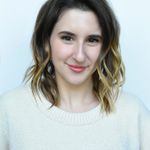 This will give you plenty of time to find the perfect item for each girl, rather than forcing you to pick whatever you find the weekend before your wedding. And—keep your receipts! This technique will give you plenty of time to change your mind if something even better comes along. Even if your wedding is being covered by your parents or in-laws-to-be, it’s good bridesmaid gift etiquette to pay for these presents yourself. Footing the bill for these bridesmaid gifts yourself will make them that much more special, and will give you the freedom to gift what you choose to the gals you love. Just like how there’s a target range of what you should spend on a wedding gift for a newly married couple, there’s also a target amount for what you should spend on gifts for your ‘maids. The starting point per gift is generally between $75—$150, but, as always, this number is ultimately up to you, and there are some parameters you should keep in mind as you determine your own spending window. For example, if you’re already gifting your bridesmaids their dresses and hair and makeup, you can spend a little less on their presents. 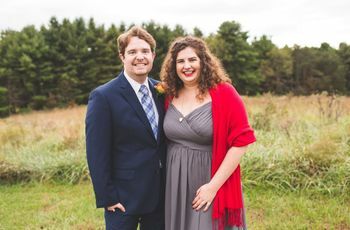 On the other hand, if they’re paying to travel for your wedding, and already forked over a good amount on your shower and bachelorette, your gifts to them should cost a bit more. This “formula” may seem impersonal, and of course, cost doesn’t matter if the gifts are thoughtful and the meaning behind them is genuine, but it’s always good to have a general idea so you don’t under- or overdo it. You shouldn’t just get six or seven of the same exact gift and give one to each girl—even though that does sound wonderfully simple, it’s not great bridesmaid gift etiquette. Because, news flash, despite what wedding mags may make you believe, not all of your best friends are interested in rhinestone bracelets. Instead, take the time to think of something really relevant and special to each one of your ‘maids—if one of them is really into beauty, treat her to some luxe spa products from a fancy brand. If another one is outdoorsy, shoot for a monogrammed thermos. If you don’t think you can swing that level of personalization, you can at least personalize the gifts within a category—for example, if you know you want to gift your girls a piece of jewelry, get them each a necklace personalized with their initials. Beware of the "prop" gift. 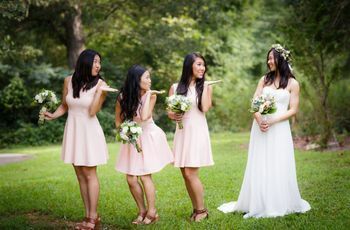 Those flowery bridesmaid robes that make “getting ready” photos look like a fairy tale dream come true? Harsh reality check: Those happen to be more of a gift to you than to your bridesmaids. You may feel like you’re killing two birds with one stone by gifting your maids with something that will make your wedding that much prettier—like pretty pjs, matching earrings, or monogrammed wine glasses for a cute photo op—but think twice before going down this road. First of all, bridesmaids gifts are supposed to be something your gals will treasure forever, and a frilly robe in your wedding colors might not tick that box. Secondly, remember when I said the gifts should also be personal? Yeah. Think of these “prop” gifts as fun extras for your ‘maids, not the main event. Amp it up for the MOH. If you have a maid of honor, and she has more responsibility during your wedding (i.e., she’s making a speech), it’s good bridesmaid gift etiquette to thank her accordingly with an extra-special gift. You don’t have to completely overdo it and shower her with diamonds, but you should go the extra mile with her gift that she went for your wedding. Tuck in something special you know she’ll love—like a bottle of fragrance by her favorite designer, or a gift card for a massage—or upgrade her version of the group gift by getting it in a luxe metal or with a monogram. Despite what all of the above may have you believe, it’s not all about the gift! 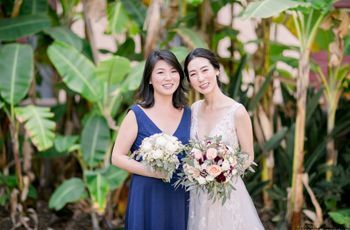 What your bridesmaids really care about is that being there for you on your wedding day has taken your friendship to an even deeper level. So don’t forget to add a handwritten, personal thank-you note in with each bridesmaid gift thanking each girl for all that she’s done to make your wedding (and your friendship so far) as amazing as it is. She’ll like the gift, but she’ll keep the note near and dear to her heart forever. And she’ll be touched that you took the time out of your busy wedding planning schedule to share exactly how grateful you are to have her in your life.